A rescued American Bulldog with naughty ways — Havers Dog Behaviour. A 10 month old American Bulldog that needs a new home is bad enough, but to then discover she has really bad behaviour towards other dogs and cannot walk on a lead is quite the discovery the new owner did not need! You can imagine the size of a 10 month old American Bulldog, she is a big dog to try and control on the lead let alone stop her pulling. She is, however the most beautiful soul you could wish to meet and is a genuinely lovely dog and she just needs some time spending and some consistency and she will be fine. She is fine in the house, very good with people and is nice and calm which is what makes her behaviour towards other dogs harder to understand. She is very noisy around other dogs and this is not helped by there being a dog next door and they have heated arguments through the fence that, at the moment, separates them and this is causing distress for both dog owners and Dottie’s owner in particular as she is such a powerful dog. She also barks at dogs on the TV and passing the house so there is a lot of barking! Changing behaviour in a young dog is always easier than in an older dog when the patterns are well established. The barking whilst an important issue was nothing compared to Dottie’s reaction to the lead. She has clearly had some very bad experiences on or around the lead as she was determined to take it off the person who was trying to put it on her. And she was very insistent indeed! 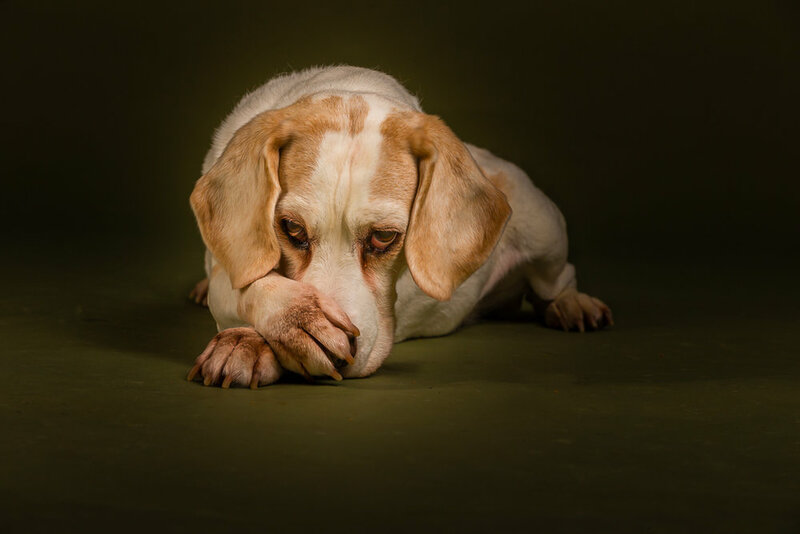 When a dog has such a strong sense of the need to control a situation, we have to then disprove that expectation by changing our behaviour from the behaviour she is expecting us to show and remain calm and patient. When your dog is naturally calm, it is easier than with an easily excitable dog and Dottie came through very well to the point where she would sit calmly when the lead was on. This was huge progress for her. We also managed to be outside in the back garden when next doors dog was out and barking whilst Dottie remained quiet and calm, even when the back gate was opened which set off next doors dog again! A very productive and useful first session and much progress was made but there is still a great deal to do and I will return in two weeks time to continue working with Dottie and her owners.